UK drama Our Girl has been renewed for a fourth season. 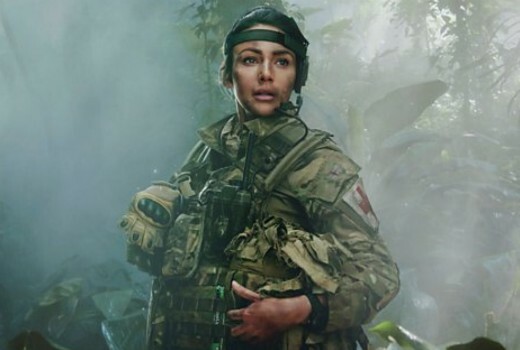 The 6 part drama starring Michelle Keegan will take place one year on from 2 Section’s last tour in Bangladesh. Aussie Shalom Brune-Franklin (Doctor, Doctor) joined the cast last season. Filming will take place in April for four months in South Africa. The South African locations and CGI are the same used by the now concluded BBC military comedy series Bluestone 42, obviously for budget reasons not much effort was made to change the familiar camera shots of derelict concrete artefacts and war wreckage so the same SA production crew must have been used on Our Girl too. Our Girl had a promising sometimes gritty story about a working class girl being accepted by the military but the final episodes lacked the impact a bigger budget and better stunt coordination would have offered, the Norwegian war drama Noble was a better example of how the budget action genre is done.